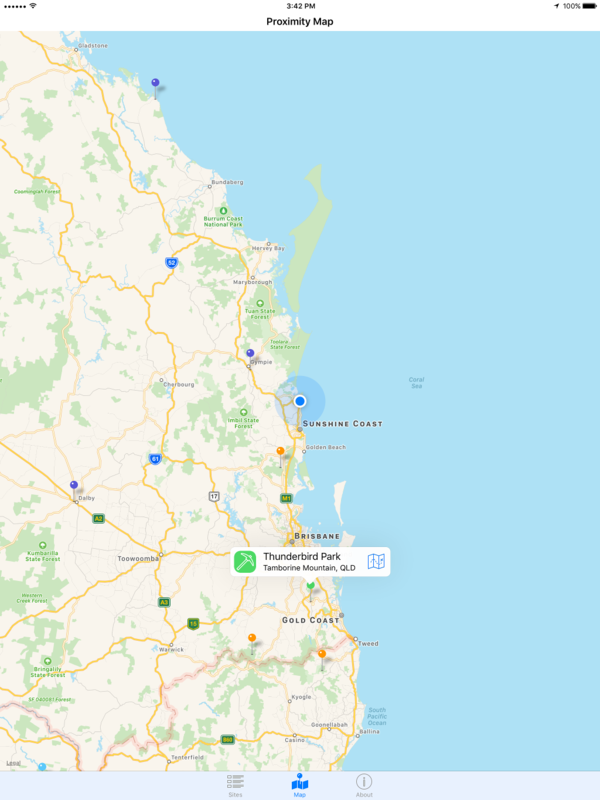 Travelling around Australia? Into Geology? Then this app is for you. 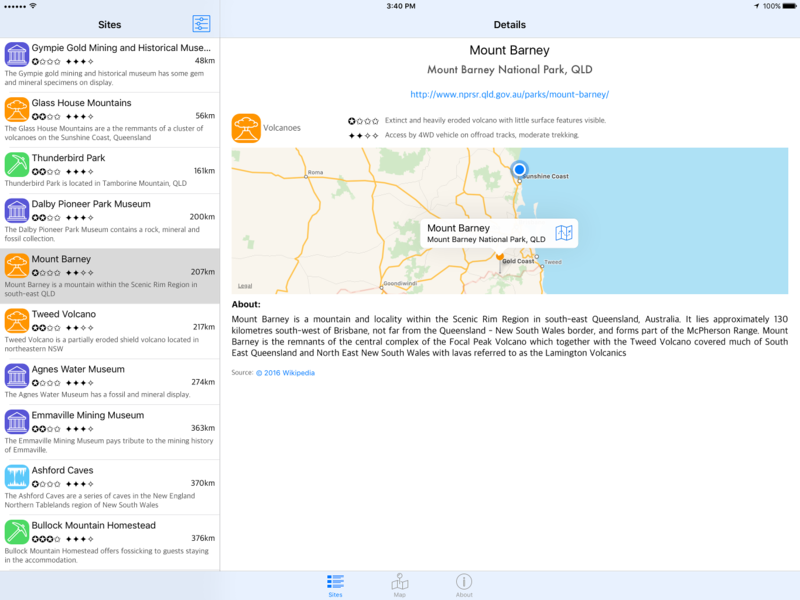 Geology Explorer is curated list of Geological sites covering everything from institutionalised displays and museums through to remote and hard to get to geological formations. Each site is ranked by its ease of access and scored by its epitomical characteristics. The custom searching functionality makes it possible to perform highly targeted searches for specific interests or broad queries for the train spotters who like to take it all in. The app makes it easy to navigate to any site by offering directions via the Maps app. The sites included are Caves, Impact Craters, Volcanoes (extinct and dormant), Museums Gold Rush and Fossicking. The site list is being constantly updated and the Geology Explorer app will download new data sets when they become available.